These high power optical quality 2X lenses are made of a water-clear optical grade shatterproof acrylic. 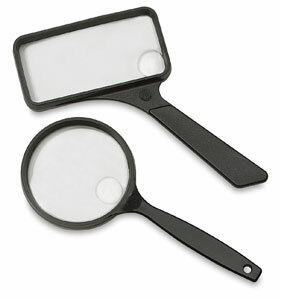 The molded handles both protect the lens and offer comfort and balance. The one piece frame permanently locks in the lens. Unbreakable and scratch-resistant.